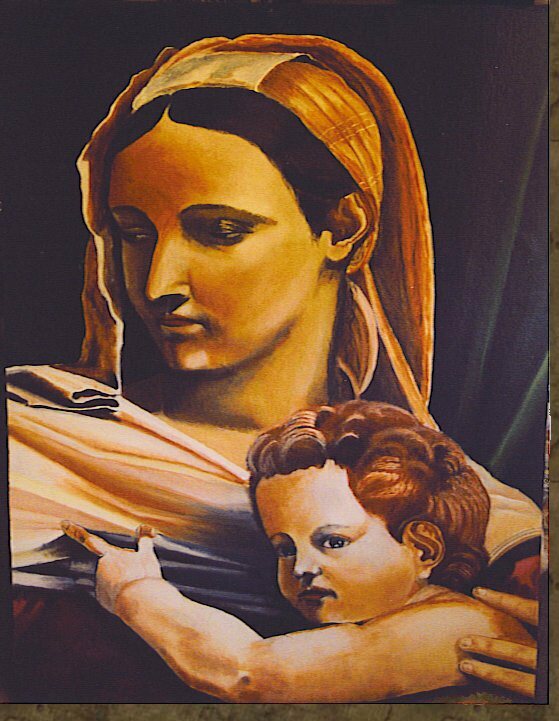 Not sure of the original artist, but this is a segment from a painting called Flight Out Of Egypt. Definitely one of my personal pets, this one would be hard to part with, but would at the right price. 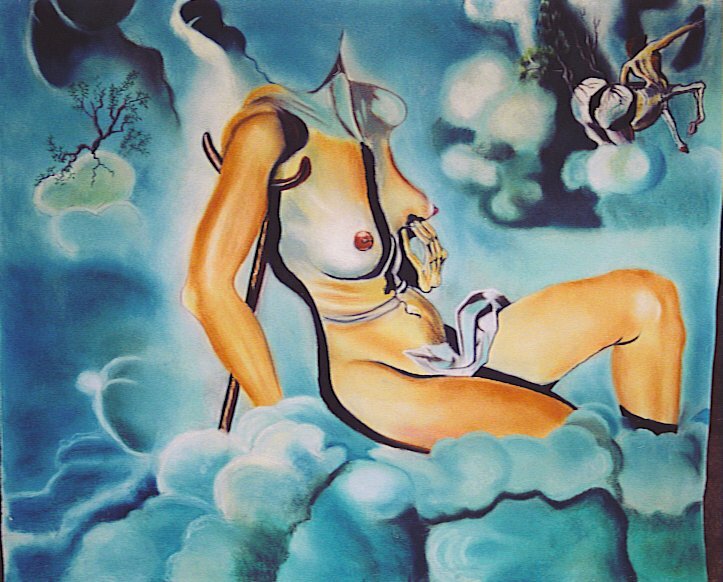 Salvador Dali completed this painting in 1963...the year of my birth. Forty years later, I reproduce it as best i can, and place it on this site, on the day of my birth (on my birthday). 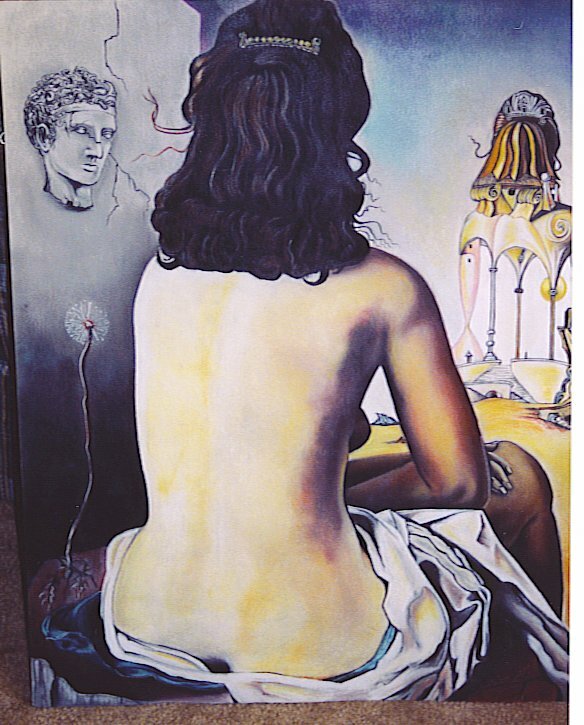 Salvador Dali's My Wife Naked, Looking at her own Body, which is Transformed into Steps, Three Vertebrae of a Column, Sky and Architecture. One of my best illustrative works, my pastels capture all of the classical and surrealistic qualities of this beautiful piece. 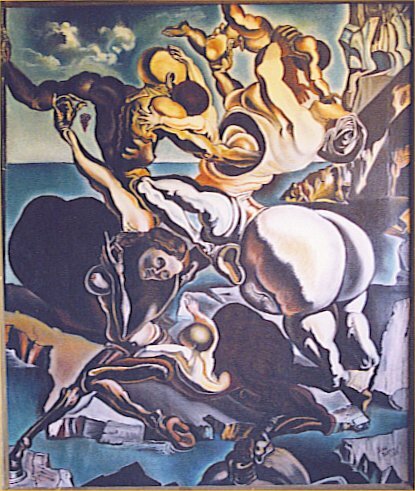 Salvador Dali's A Family of Marsupial Centaurs. 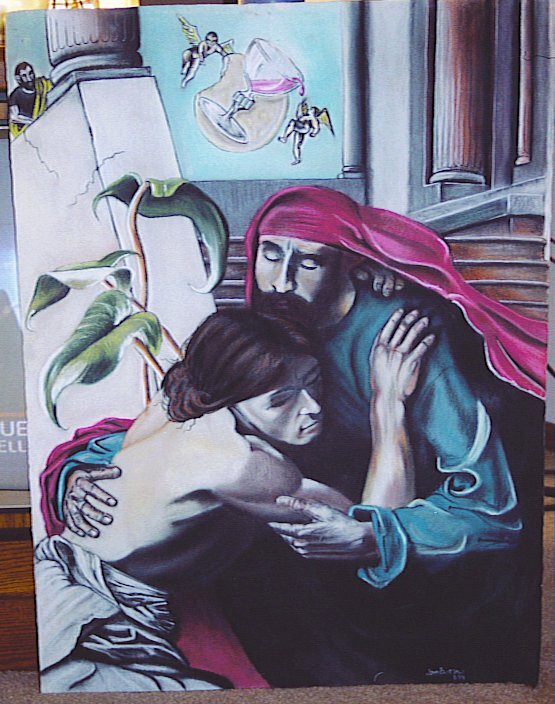 Dali used Inks, and Pencils to create this masterpiece, I used Pastels, and Oil Paints. It looks great framed, hanging on my wall! 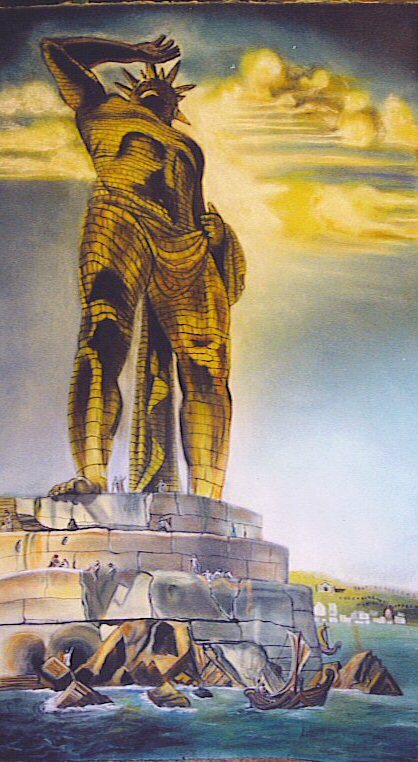 Salvador Dali's Colossus Of Rhodes. I fell in love with this painting as soon as i saw it. 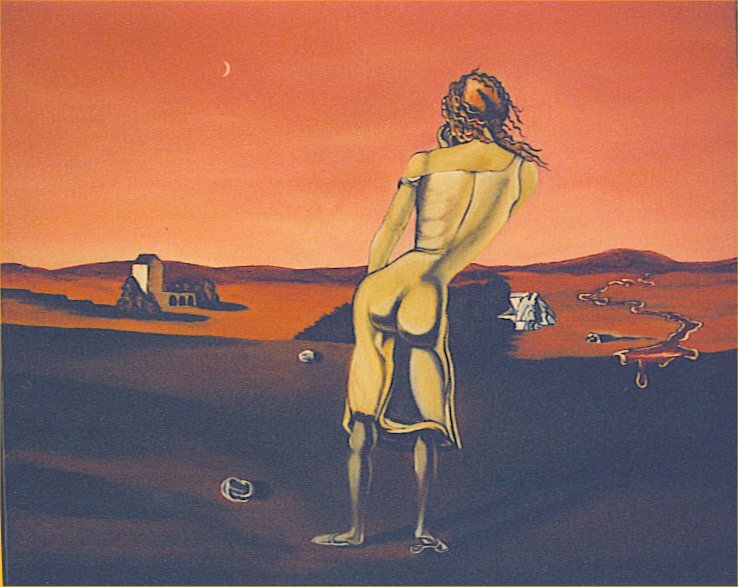 Dali's Classical period shows his heart, and this picture illustrates his majesty, and genious. Sir Edward Burnes-Jones Wheel of Fortune. I painted this picture for my Sister. Burnes - Jones, is one of the great Pre-Raphaelite Victorian style arteeests of the 19th Century. Salvador Dali's Girl With Curls. 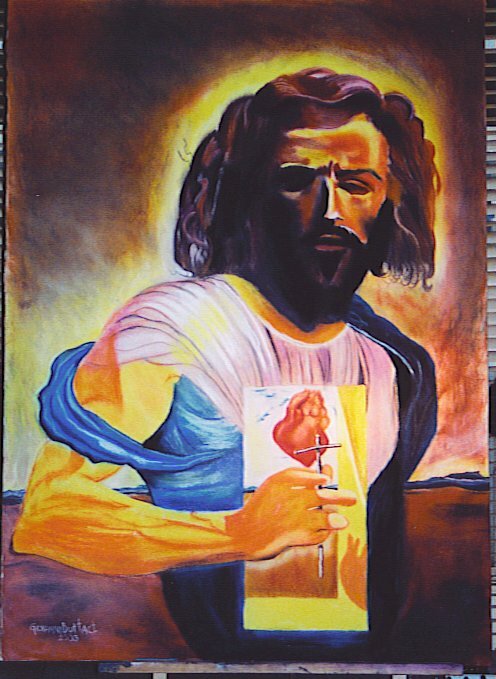 I gave this painting a few twists of my own. The sky is a orangish pink to reflect the alizarin crimson mountain range, which spouts a stream of blood which suddenly falls off of an otherwise seamless landscape. 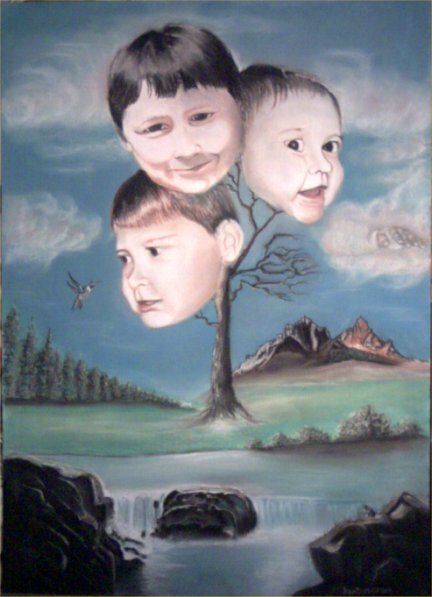 The name of the painting speaks for itself. These are my sister's beautiful children, who are older now, but just as beautiful. I tried to capture the essence of each one: The ornery-ness of Alex, the curiosity of Jon-Michael, and the cute active hands of Cianna. 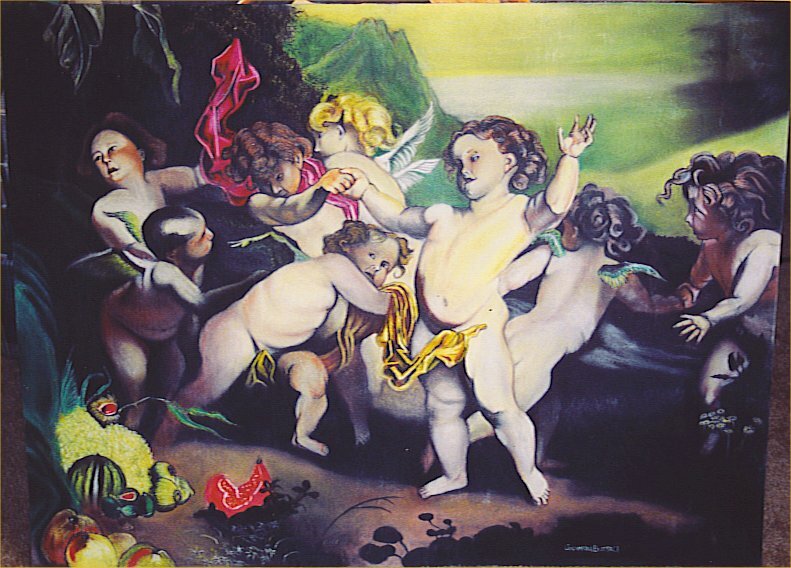 Salvador Dali's Honey is Sweete Than Blood. 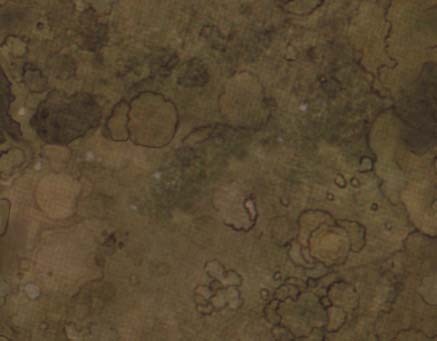 I was awe-struck when I first saw this painting, and just had to reproduce it.